The LJ Services Group difference. LJ Services Group is pleased to have the opportunity to introduce our company and services. As specialists in the management of community homeowners associations, LJ Services Group has provided comprehensive, professional guidance for residential communities since 2000. LJ Services Group's goal is to guide the association board of directors in maintaining the beauty and value of the association, and protect every homeowner’s investment. Your management team will design a customized program that also works to enhance communication and create a true sense of community for your neighborhood. When you select LJ Services Group, you select an entire team that is dedicated to serving the needs of your association. LJ Services Group believes that quality Service begins with quality employees. Top quality is maintained by management, and customer feedback to continue quality performance. 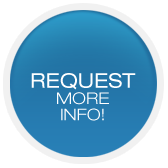 Please contact us if you have any questions or comments regarding this site or the services we offer.